The Kalinganagar plant. Photo by Tata Steel. 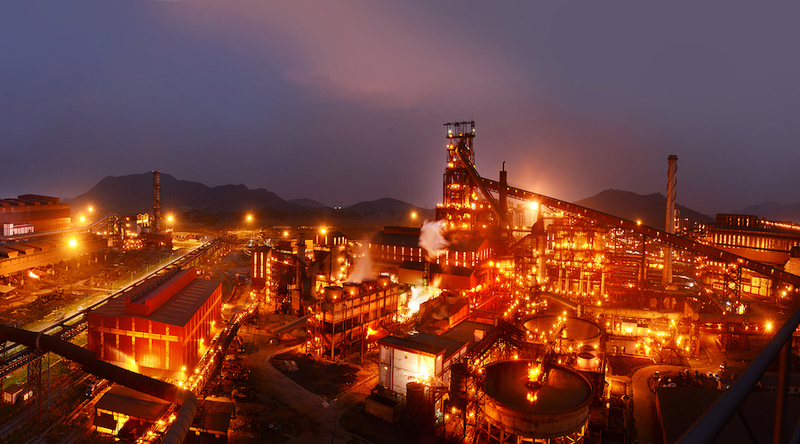 Tata Steel is waiting for a permit from Odisha’s state pollution control board to expand capacity at its Khandabandh iron ore mines in eastern India from 1 million tonnes per annum to 5 million tonnes per annum. This is according to a report by the Business Standard, which also says that Tata is planning to send all the product from its captive mines at Joda East and Noamundi to its Kalinganagar plant. The Kalinganagar facility is located in the same province and it is undergoing a series of upgrades aimed at expanding its steel-making capacity by 5 million tonnes per annum to 8 million tonnes per annum. The idea is to meet growing demands from the automotive, general engineering and construction segments, a media statement from the company explained. The project, which is expected to be completed in four years and would take Tata Steel's capacity in India to 18 million tonnes per annum, will need 13.6 million tonnes of iron ore annually once it is fully operative. To meet such target, Tata is not only planning to grow its iron ore production but, according to the Business Standard and despite previous failures, the firm also wants to participate in auctions of iron ore blocks by the Odisha government. The steelmaker is also examining the possibility of signing a long-term deal with state-owned Odisha Mining Corporation to secure iron ore for Kalinganagar.